Sports that will be part of Team PNG at the Pacific Games in Samoa next year have begun their preparations with the aim of achieving similar Games results like they did in 2015. Sports Vice Minister, Wesley Raminai, in his keynote speech, encouraged sports to work together to achieve their goals and not focus on their individual agendas. “As custodians of your respective sports I encourage you to run your sport following the principles of good governance and putting athletes first,” he said. “There should be no place for factional disputes and politics in sports. These will only negatively impact the progress of your sport. “We all know that preparing for top-level events at the elite level of sport should be done years in advance. In some sense we are already behind our toughest competitors. 26 sports are on offer for the Pacific Games in Samoa and PNG will be aiming to compete in all of them. 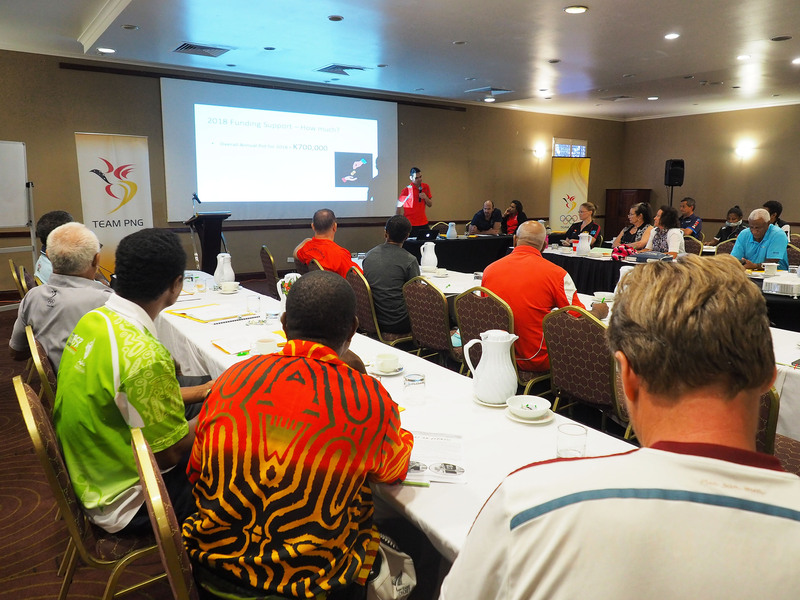 At the workshop, representatives from these sports expressed their commitment to repeat Team PNG’s winning performance from 2015 where Team PNG claimed 88 gold, 69 silver and 60 bronze for a total of 217 medals to finish on top of the medal tally.